You know I miss you girl! Life is hard and it hurts! If you could see this place! And Janet? When she saw my face? I promised her I would take care of you man! Wow. When God does a thing, He does it! When God gives us a gift He does so in a way that no one else can. Mary wanted to know how in the world she was going to have a baby. God chose to conceive His Son in a way that no other person has or ever will be conceived. When God shows, He always shows out! You may be asking God some questions right now. “Lord how am I going to pay for this?” “Jesus, when are You going to deliver me from this place?” “God why is this happening to me?” Understand that The Lord does not operate like ordinary man. He does things much differently and His way ALWAYS yields great results. God used a virgin to be the mother of His Son. That same God is still doing miraculous things every day! Be blessed. Jesus truly is the reason for the season. This is one of the few catchy phrases people often that is actually true. I remember as a child seeing cartoons referring to ‘X-mas.’ My mother told me this how people keep Christ out of Christmas. Whether that is exactly true or not, over the years I the world attempting to do this by many other means. The world promotes buying more and more gifts, Santa Claus, and the ‘Christmas Spirit.’ None of those, however, will save anybody from hell. 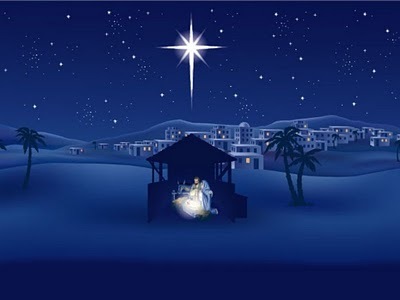 Don’t forget why children of God celebrate Christmas. We remember the greatest gift God gave us; Jesus. Other traditions may be fine, but they are not the purpose of this celebration. Don’t forget how we became Christians. It was only through what Jesus did for us. Other things may be fine, but Christ should be Head of your entire life. Someone needs to hear the truth about Jesus this Christmas season. Tell them. Jesus is the reason for the season! My take on the recent situation in Connecticut and tragedies in general. All comments appreciated. The Lord Jesus had no need to try and hold on to His godliness. Whether He was in heaven with the Father or on Earth He was still God no matter what. Jesus knew that changing His position did not change who He was. Nothing could do that. He is God through and through. And nothing could ever change that. Christ lowered Himself just to help you! In His coming to Earth as a little baby God displayed the ultimate form of humility. When we get too focused on the world everything becomes about us. We should have the best and be in the highest positions. But sometimes God calls us to humble ourselves. This is how we identify with Christ. Most of the times what God calls us to us uncomfortable. But do you think that Jesus was comfortable as He lowered Himself all the way down to the level of a mere man? No. However, He knew what the Father’s plan was and how it had to be accomplished. And now the name of Jesus is above all names. When you accept God’s plan and humble yourself you will be exalted. Humility is the path to true greatness! “Can't nobody do me like Jesus. Labels: Calvary, Chris Brown, Crazy, David and Goliath, Doctrine, Friend, Rajon Rondo, Ray Allen, Sovereign God, spirit guide, Swag, Too busy for the Lord?? ?